Analysts warn that Singaporean companies linked to China will bear the brunt of an ongoing ‘economic war’ with the US. US President Donald Trump blocked Singaporean microchip maker Broadcom Ltd’s proposed takeover of Qualcomm Inc, and said in a presidential order that there is “credible evidence” that the deal threatens national security. This ends what would have been the technology industry’s biggest deal ever amidst concerns that it would give China the upper hand in mobile communications. Even if Broadcom is a Singaporean company, BMI Research ICT analyst Kenny Liew noted that its impact on US-Singapore relations is little to none. “Trump’s ‘America First’ rhetoric has been dictating domestic policy, and a significant amount of his protectionist moves have been in the tech industry. We do not see any possible repercussions to US-Singapore relations – whilst Broadcom is incorporated in Singapore and is Singaporean-led, most of its manufacturing and R&D base is still centred in the US,” he said. 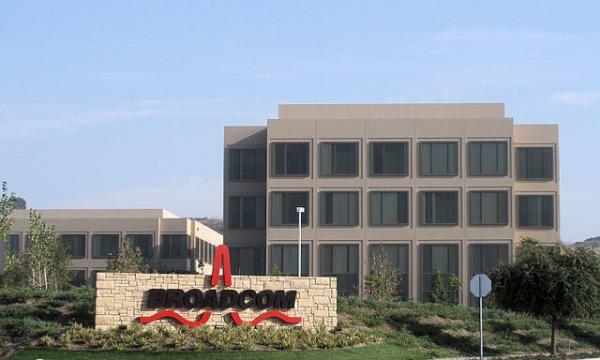 Moreover, Broadcom CEO Tan Hock Eng has also promised to re-domicile Broadcom in the US again. “Trump’s intervention is largely to protect the American IT sector and manufacturing, and has little to do with political relations,” Liew added. Jefferies Hong Kong analyst Edison Lee concurred with Herrero and said Broadcom's hostile takeover of Qualcomm has become hostage to politics. “The US government brought the proposed acquisition under the investigation of the Committee on Foreign Investments in the US (CFIUS) a few days before QCOM's board meeting, which has now been delayed. It is reported that the US believes the deal could present a national security risk as QCOM possesses strategic technology and is an important contractor for the US Department of Defense,” he said. CFIUS investigated whether “the likelihood that acquisition of Qualcomm by Broadcom could result in changes that affect the security and integrity of supply of goods and services to the US government in a manner that is detrimental to US national security.” It revealed that Qualcomm is a supplier to the Department of Defense (DOD) and performs on a range of contracts for the US government customers with national security responsibilities. It also holds active sole source classified prime contracts with DOD. Chinese M&A activity is also growing especially within the tech space. “The Chinese government has been removing restrictions on Chinese companies involving foreign acquisitions, in a bid to increase Chinese dominance in the technology industry. The US government has responded – the CFIUS blocked Ant Financial’s acquisition of MoneyGram (also amidst national security concerns), the government moved to block use of Huawei and ZTE telecoms equipment – all have largely been done to benefit of American equipment makers, to champion American-made products, and to protect America’s primacy in sectors where it is the world leader,” Liew said.